Among other things, I’ve been working as a media consultant for the state of Utah this year — specifically related to Utah Lake. 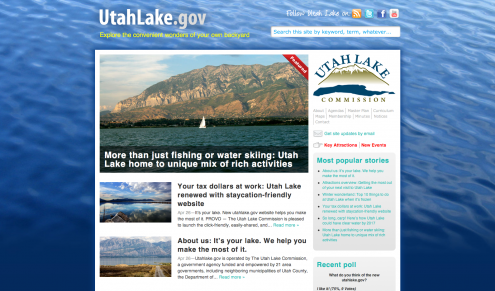 To help promote the lake as a tax-funded and public resource, I helped officials launch and now maintain a new editorialized website at utahlake.gov (pictured). Not only did the site launch with broken links, there were a few proofreading errors too, not to mention editing notes that were never meant to be made public. Every website should be updated regularly. 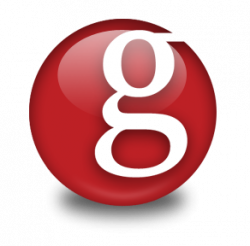 Search engines like it. Readers like it. Your bottom line will like it. But if you operate a working, established, or otherwise popular website (say at least 2,000 visitors per day), I would never recommend a major visual or mechanical overhaul. It pisses people off. And when that happens, loyal visitors flock to alternatives in mass exodus, as Digg users have done this month. There are a couple of exceptions to this rule. If your website has a monopoly on information, you can do whatever you want, and readers will keep coming back. And if your website isn’t “working, established, or popular” to begin with, you only stand to gain from a major overhaul, provided it’s done by someone who knows what they’re doing (aka no flash, proper xhtml/css coding, a regular content plan, and most importantly, good usability). What can you do then to improve or refresh established websites? My advice is to make subtle changes to your design and monitor your visitor’s behavior. If the change has no significant effect, or better, a measurable improvement, keep the change. If the change is off-puting to visitors, revert to the the previous version immediately and re-evaluate both your desire for change and your strategy. I know this holds true on the few “popular” websites I publish. And if Digg is any indication, I know it holds true for mega websites as well. May all your redesigns be well-received.